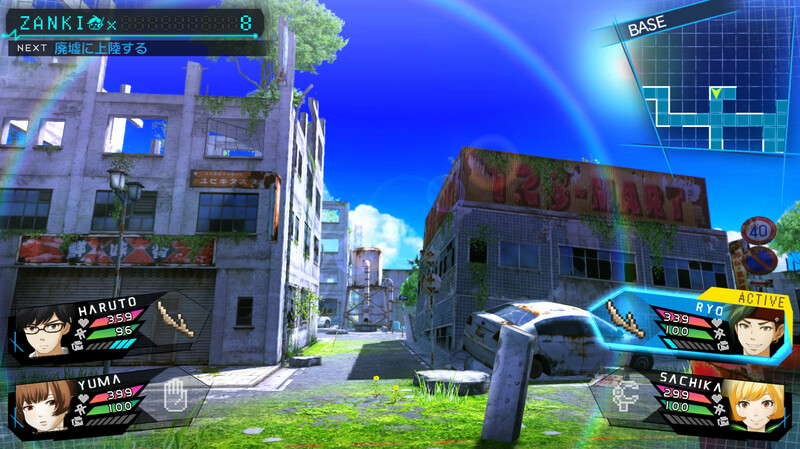 Zanki Zero Last Beginning is a post-apocalyptic survival RPG. The game focuses on real-time battles with monsters and exploring the ruins in search of the supplies necessary for survival. 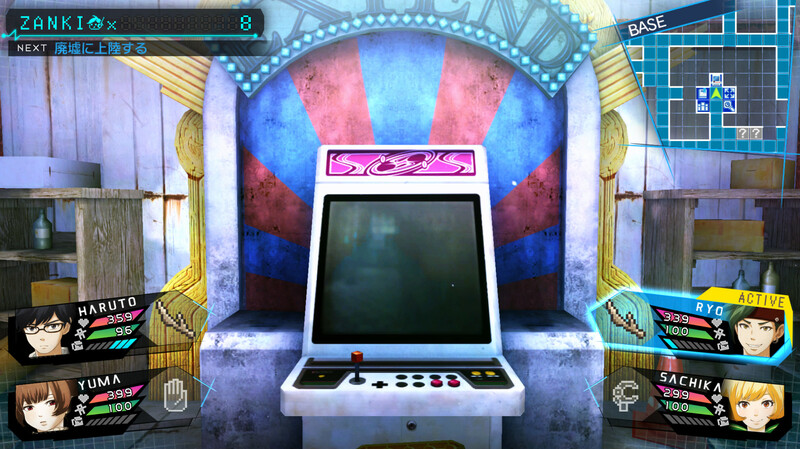 The game was developed by Spike Chunsoft, the creators of the Danganronpa series and many other games. In 2018, the Earth was devastated, and humanity was almost extinct. Eight clones — the last representatives of our species — travel around the destroyed islands and abandoned cities. Their life cycle lasts only 13 days, after which the clone dies and is reborn in a young body. Then he or she grows old again and dies to continue repeating the cycle. Each clone is associated with one of the seven deadly sins. The eighth symbol represents original sin, and their past hides dark secrets. In the inhospitable, empty world of the main characters, only a mysterious TV accompanies. On the screen, a charming sheep explains the basics of survival. 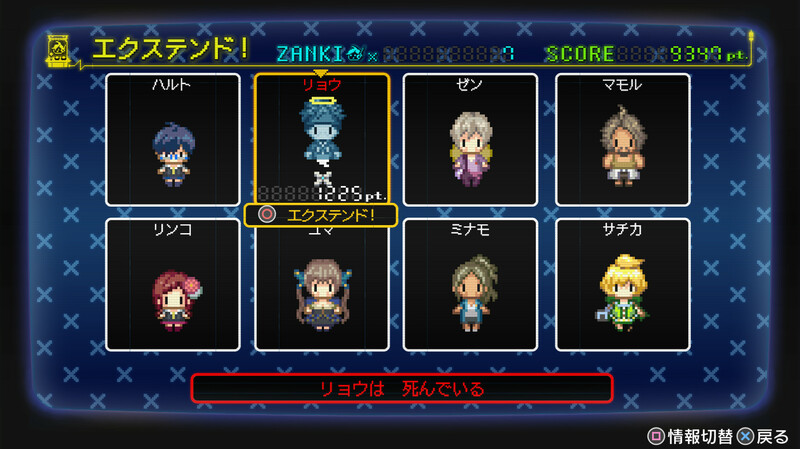 The player can take on the role of each of the eight main characters. The main task is to explore the destroyed cities and dungeons in search of supplies such as food. During travels, players often participate in real-time battles. Characters have physiological needs that need to be regularly met. Each of the eight main characters can survive up to 13 days. Then he or she dies and returns to life as a young man. During each lap, the character becomes old. Age affects statistics and opportunities. Moreover, the type of death can be awarded a bonus after a rebirth. God created the world in seven days. It took people only one day to destroy the world. Life plunged into the depths of the sea. Modern civilization was destroyed, turning into garbage, wandering through the sea. New ruins drift one after another in front of the main character, who lives on one of these decaying islands.